In this article Anthony Edwards considers the extent to which the Dubai legal framework has served the construction industry in terms of protecting parties from the consequences of what happens when the boom times turn to bust. This article is the first in a series by Hadef & Partners’ Engineering & Construction Group. Dubai does not have a category of judges in the Dubai Courts that specialise in engineering and construction (E&C) complexities. The inevitable consequence, for any party taking an E&C dispute to the Dubai Courts is that the effective management of the case, is passed by the Dubai Courts to a deputed “court appointed expert”. For parties who still have claims against entities within the Dubai World Group, it may already be too late to pursue those claims in the Dubai World Tribunal (DWT), unless due process has been commenced prior to 23 August 2011. However, that position is not entirely clear, and there may yet remain the option to test that before the DWT and therefore to benefit from the rigour of the processes that the DWT bring to bear and the depth of forensic experience available in that forum. For E&C disputes that do not have an arbitration provision in the underlying contract, or where a Dubai World entity is not a party, then the Dubai Courts do not hold themselves out as being specialist in the field, and the likelihood that “court appointed experts” will be deputed to assess the issues tends not to produce the detailed forensic review that E&C complexity so often requires. Listen to a Dubai Eye 103.8 radio interview in which Anthony Edwards discusses some of the points raised in this article. There is little doubt that the industry that is known internationally as the construction industry (embracing not only traditional building construction but also major engineering and infrastructure works and the same in the oil and gas sector) is a major economic driver, worldwide. As such it is therefore, of course, subject to the turbulences that from time to time disrupt and destabilise economies across the globe. The financial calamities of the last three years or so are just one episode (albeit of proportions not often encountered) of what the industry colloquially terms as “boom and bust”. When the “bust” cycle hits the construction industry it is all too common for parties – particularly employers and contractors – to resort to legal measures to try to protect their positions as best they might. This has certainly been the case in Dubai since the early part of 2009 when the real effects of the collapse of the Lehman Brothers bank in New York hit the headlines so dramatically. In this article – as in the series of articles from Hadef & Partners’ Engineering & Construction Group that begins with this one – we consider the extent to which the Dubai legal framework has served the construction industry in terms of protecting parties from the consequences of what happens when boom times turn to bust. There is essentially no particular magic in how E&C is dealt with by Dubai’s legal infrastructure, in that the choices are, as for other types of dispute, two fold; first, the Dubai Courts and secondly, arbitration. The exception to this general rule is, though, what Dubai has especially created as a Tribunal to handle the particular issues arising from the very substantial and deep financial restructuring of Dubai World and its subsidiaries. The E&C industry is complex in terms of what the industry does; the design, supply and erection of structures is not simple, especially as inevitably such undertakings are usually “one off” design and construction projects which require unique planning relative to each undertaking. There is an often quoted comparison – that E&C is not like making motor cars, where the “units” simply role off the production line; E&C is definitively “bespoke”. E&C worldwide has bred its own specialist participants (developers that develop only structures, architects, engineers and surveyors of all types that only design and manage them and constructors who also know better than to work outside their specialist fields). So it is in Common Law jurisdictions around the world, that E&C has given rise to its own specialist breed of lawyers and others who know what they are about when it comes to handling the disputes that arise out of the complexities of related contracts, claims and causations which afflict the parties that operate within the circle that typically defines any E&C project. This is, of course, not to forget the funders that sit behind the respective parties and give life to any project by the credit facilities they make available to allow the project to rise up to completion. Dubai does not have a category of judges in the Dubai Courts that specialise in these complexities. 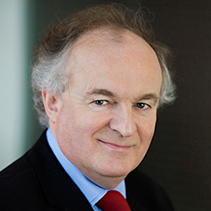 The inevitable consequence, for any party taking an E&C dispute to the Dubai Courts is that effectively the courts divest themselves of the management of the case, by passing it to a deputed “court appointed expert”. It is not the intention of this article to pass any assessment on any particular such expert; however what can be suggested – from a lawyers’ perspective – is that the system of judicial management and control is significantly eroded when the case leaves the Court and is passed to the expert, since no clear rules of law apply to how the expert must manage the dispute as between the parties and it is left to the individual expert to run the matter as he sees fit. The law of the economic jungle seems to play a part here; experts’ fees are, relatively speaking, very low. Hence the time scale that the expert is likely to allow for the dispute to be dealt with before him is correspondingly short in terms relative to the complexity and value of the dispute. Take, for example, an expert whose fee might at the outset of the matter be of the order of (only) AED10,000 (as set by the Court). The dispute, however, may relate to the construction of an 80 storey tower where the original time for completion of (the relatively standard) two year period has been exceeded by the contractor by a further two years overrun. There are, inevitably, multiple causes of delay as likely as not asserted by both employer and contractor; the role and activities of the employer’s design consultant and/or the activities of the contractor’s raft of sub contractors and suppliers are called into question with the need for detailed production and study of both oral and documentary evidence. Yet the expert may only feel compelled to allow a relatively swift exchange of memoranda between the parties (in only a matter of weeks) with whatever documents they can muster in the time available so that he may then issue his report to the court of his “findings” in the case, and thereby close his file and earn his fee. Little or no real evidence may be called and there is little, if any, opportunity for the oral presentation of either party’s case. The entire investigation process may therefore have taken place without any real sense of “judicial process”. The Court invariably ratifies the report findings of the expert and undertakes little or no forensic investigation of its own, as would be held necessary in jurisdictions where the judge’s function is certainly one that requires full judicial process. Dubai has its own arbitration rules and management body, the Dubai International Arbitration Centre (DIAC). Here, parties are certainly able to have their disputes adjudged by specialists on either the technical or legal aspects of the E&C world, provided they choose the right individuals, respectively. The process is allowed to take up to 12 months at the discretion of the arbitral tribunal panel once appointed and further time beyond the one year limit is available, but only by agreement of DIAC’s controlling body for these purposes – The Executive Committee (the Committee). That Committee functions to manage certain important aspects of the arbitration process. Included in these are the appointment of the Tribunal panel members (albeit that each party may have nominated its own arbitrator) and dealing with any party challenges against a tribunal member who may be objected to under certain provisions of the written rules applicable to the arbitration process. Likewise the Committee may agree the length of the arbitration process beyond the 12 month period that the tribunal may itself allow as being the timescale for the process. Yet, the Committee is one that acts unilaterally in its decision making; whilst parties are able to make written representations, there is no opportunity for legal representatives to appear before the Committee to advance a party’s arguments beyond the extent of its written submissions to the Committee. Given the importance of the oversight powers that the Committee has, a party with a serious challenge may feel justly aggrieved that no fuller “due process” is allowed it beyond the mere presentation of written submissions, with no opportunity to challenge in oral argument the views of either the other party or indeed the Committee itself. And of course the views of the Committee remain veiled from the parties who only come to know the result of the Committee after it has deliberated, in private, on any issue presented to it for its decision. As an alternative to the court process, DIAC arbitration is not an inexpensive option for parties in E&C projects. Given that the amount in dispute under a construction contract is often substantial, the claimant party is faced with an initial fee of at least AED15,000 simply to register the claim with DIAC. Whilst that may compare favourably with a fee of double that amount to register the same value of claim at Dubai Courts, there are then significantly much higher fees and expenses to pay by way of an ‘advance on costs’ for each member of the Tribunal panel. The DIAC Rules provide, in common with all other international arbitration rules such as those of the International Chamber of Commerce (ICC), that each party shall pay 50% of the required advance. However, it is not uncommon that the respondent party does not pay its share leaving the claimant to meet that financial obligation of the respondent before the Committee will allow the arbitration to proceed. The Committee allows this situation to exist without seeking to impose any sanction on the recalcitrant respondent. One of the most notable financial crises that hit Dubai from 2008 was the failure by Dubai World and many of its subsidiaries (including Nakheel) to meet their respective financial obligations. The response of Dubai Government to this affliction was the creation of The Special Tribunal related to the Settlement of the Financial Position of Dubai World and its Subsidiaries, under the well publicised Decree 57 of 2009 (as subsequently amended by Decree 11 of 2010). In its initial incarnation the Decree gave exclusive authority to the Special Tribunal, consisting of three members who, coincidentally, were also judges of the Dubai International Financial Centre (DIFC) Courts, to “…hear and decide any demand or claim …against…” Dubai World or any of its subsidiaries (known collectively in the Decree as the Corporation). The 2010 amendment allowed the Corporation to bring claims it had against any non Dubai World entity; as this point had not been addressed in the drafting of the original 2009 Decree. The 2009 Decree also extended the Special Tribunal’s jurisdiction to deciding on “…any demand to dissolve or liquidate the Corporation…” and incorporated for this purpose, by reference, the complex insolvency provisions of the DIFC Law Number 3 of 2009…”Concerning the law of Insolvency”, as amended by the Schedule in the Decree itself. As with most of the DIFC legal framework, the DIFC Insolvency Law is based on the highly developed insolvency legislation found in many Common Law countries, due of course to the absence of any modern winding up law being available in Dubai. So far as known, no such demand to dissolve or liquidate the Corporation has been made and at least the major subsidiaries of Dubai World continue to operate as ongoing entities. Perhaps the best known of these entities is Nakheel, which is most well known for being the developer of The Palm islands. It has been Nakheel that has attracted the highest profile among the subsidiaries as it struggled to deal with its very substantial debts to E&C contractors and other counterparties throughout Dubai. The result has of course been the restructuring regime finally put in place by way of a voluntary arrangement of managing the debt liability of Nakheel. That voluntary arrangement has seen 40% of amounts that have been agreed between Nakheel’s contractors and the developer paid out in cash, with the balance of agreed amounts to be recovered under the issue of an Islamic bond, the sukuk, to be redeemed at par after five years while in the meanwhile paying an apparently generous 10% per annum on the value of the 60% of the agreed debt. There remain however sizeable claims against Nakheel that have to be dealt with as contested claims. Under the restructuring documentation these claims could become the subject of arbitration proceedings between Nakheel and the E&C contractors under rules of arbitration similar to those of DIAC, but effectively run as private arbitrations between Nakheel and any E&C contractor that does not reach an amicable settlement with Nakheel on any disputed claim. The Rules applicable to the proceedings of the Dubai World Tribunal (DWT) were originally stated in the 2009 Decree to be those of the DIFC Courts, but from 1 October 2011 they were superseded by the substantial set of Rules specifically designated as The Rules of the Dubai World Tribunal (the DWTR). Themselves based closely on the court procedures applicable in the Courts of England and Wales (and therefore of the Common law environment), the DWTR have proved effective in allowing at least one E&C contractor to succeed in seizing the initiative of by-passing the 40% cash/60% bond arrangement of the restructuring of the debts of Nakheel and obtaining an 100% cash payment of its agreed claim arising from termination by Nakheel of a particular project when forced upon it by the prevailing financial and real estate crisis. 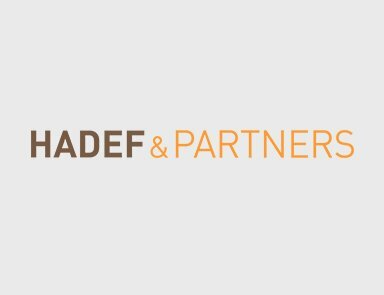 This success arose in a case in which Hadef & Partners acted for an E&C contractor, Technical Architects General Contracting Company LLC, which had declined to enter into the restructuring arrangement with Nakheel and instead decided to pursue its rights in the DWT. After Nakheel failed to deal with the service upon it of the Claim Form that begun the E&C contractor’s DWT action, a judgment was able to be entered by the contractor in default of the essential procedural step having been taken by the developer. The claim by the contractor was based upon a private settlement agreement having been arrived at between it and the developer (again, outside the scope of the formal restructuring arrangements arrived at with apparently almost a maximum percentage of other E&C contractors). The contractor succeeded in retaining the full extent of its judgment against the developer, and defeated Nakheel’s application to set the judgment aside in a contested hearing in open court at the DWT. The DWTR are a set of procedural rules that certainly allow an E&C contractor to make a strong pursuit of its claims against any Corporation company in appropriate circumstances. An important aspect of that, however, is the impact of what has been claimed to have been a change of ownership of Nakheel that, it is said, results in it no longer being part of Dubai World. This aspect was considered by the DWT in a case in November 2011, in which another Corporation entity, The Palm Jebel Ali LLC, was sued by a private individual for alleged failure to commence and deliver a villa development under a sale and purchase agreement. The significance for the purposes of this article is the judgment of The DWT issued on 29 November 2011. In the judgment it was stated that the respondent, the Corporation entity, asserted that it and Nakheel had ceased to be part of Dubai World as from 23 August 2011 and that therefore the DWT had no jurisdiction to hear the case by the private individual. The DWT required evidence to be produced to it of what was claimed as having been the shares restructuring of the Dubai World Group, completed on 23 August 2011. The claimant in the case had begun its proceedings before the 23 August date and so the question for the DWT was whether it retained jurisdiction to continue with the case in November 2011, that is, after the date of the completion of the Dubai World Group shares restructuring. The DWT decided it did retain jurisdiction, and one of the reasons for coming to that decision was because of the DWT’s finding that the share transfers that the Corporation entity claimed to have occurred did not deprive the DWT of its jurisdiction since there had been no legislation by further Decree that put an end to the DWT’s jurisdiction. The E&C industry in Dubai has seen some spectacular achievements, of a size and complexity hardly possible in certain Common Law jurisdictions albeit that the legal environment in those jurisdictions has developed alongside the complexity of the industry itself. The development of the necessary legal expertise among decision makers in the Dubai Courts has yet to catch up with the speed of project development here. Therefore, the E&C industry in Dubai has not yet had the full benefit of the level of judicial expertise that the construction industry in Common Law jurisdictions can access. Nonetheless, the trend in the development of laws in Dubai is for complexity to be serviced by the more sophisticated legal models that have been developed in certain Common Law jurisdictions, particularly in the field of insolvency law and as regards the Rules of Court process that allow for greater judicial control of the complexity that is the essence of the E&C industry. The Dubai E&C industry could do well to seek to follow these developments as and when it can to enable it to benefit from the greater forensic investigation into the complexity of disputes, both contractual and technical, that are a particular feature of the industry in those other jurisdictions that have access to them. For parties who yet have claims against entities within the Dubai World Group, it may already be too late to pursue those claims in the DWT, unless due process has been commenced prior to 23 August 2011. However, that position is not entirely clear, and there may yet remain the option to test that before the DWT and therefore to benefit from the rigour of the processes that the DWTR bring to bear and the depth of forensic experience available in that forum. Arbitration remains a default alternative where parties have agreed to refer their disputes to arbitration but it has significant cost implications and in Dubai it is not without a certain lack of transparency at the management level. For E&C disputes that do not have an arbitration provision in the underlying contract, or where a Dubai World entity is not a party, then the Courts here do not hold themselves out as being specialist in the field, and the likelihood that “court appointed experts” will be deputed to assess issues tends not to produce the detailed forensic review that E&C complexity so often requires.